During the period of 1952 throught to 1954 the Collie Motorcycle Club conducted organised road racing events on what was a sealed airstrip at the time. Ray Harrington recalls: The sealed airstrip was laid before our family purchased the Hillman farm back in the 1960's, On one occasion during military exercises an attempt was made to land a very large Military plane on the strip which rendered the surface un-useable, end result was the military paid the Shire to remove the sealed surface and re-construct the gravel strip as we know it today. 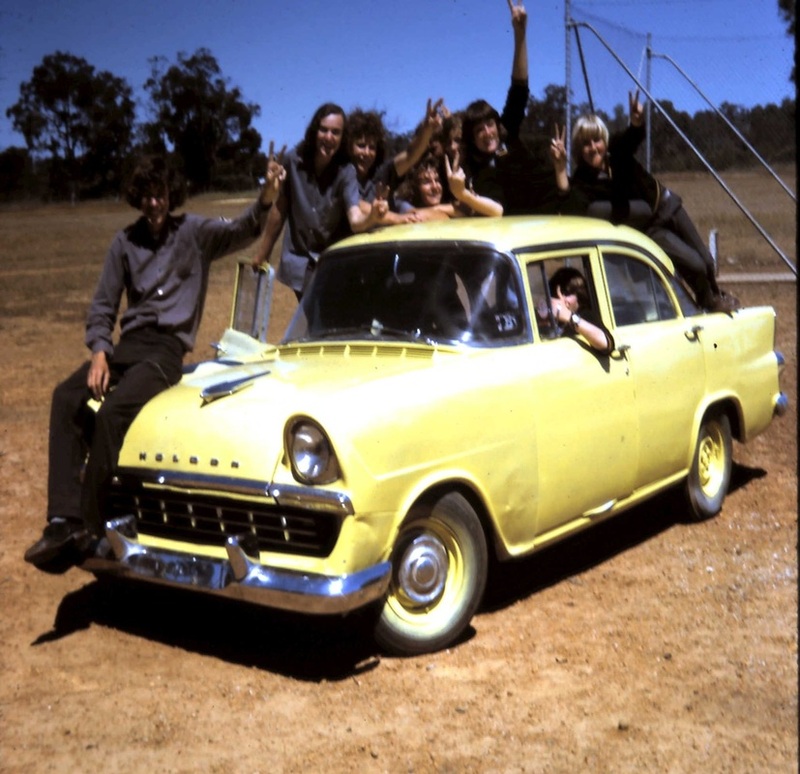 In 1972 a group of local volunteers looked for a site to build a race track, part of the motivation was to give the local youth a controlled enviroment to learn to drive at speed instead of on the local gravel roads. 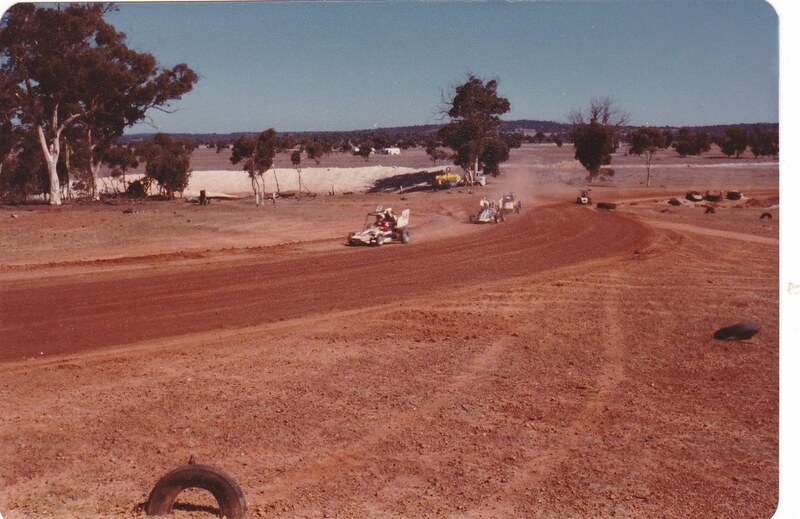 A diused gravel pit on the Hillman Farm that had been quarried to build the adjacent war time air strip was to become Darkan Speedway, at the time the airstrip was also utilised for driver training and now days is used by the Hillman skydivers. 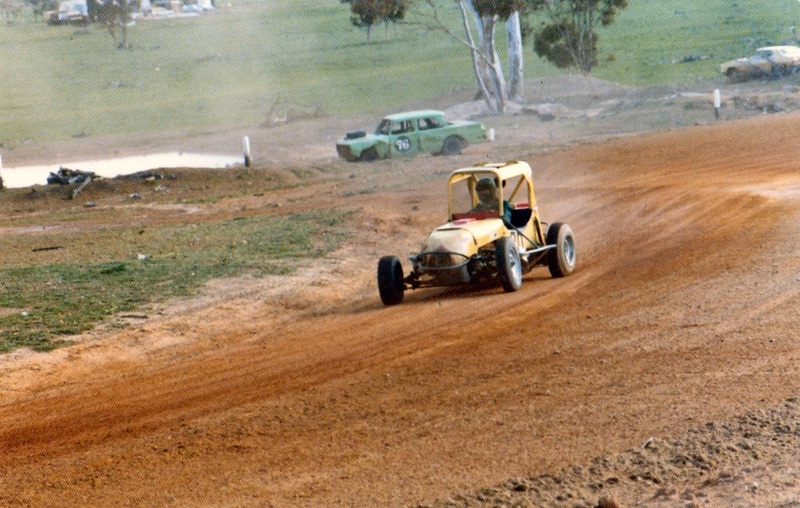 The West Arthur Motor Sport Association was formed and the bulldozer and grader moved in laying down a gravel track similar to todays shape but with sharper corners and the ess bends more prononced, a layer of clay was laid over the gravel base and the race track was ready, a truck loading ramp was built opposite the main straight and also served as an officials viewing platform. 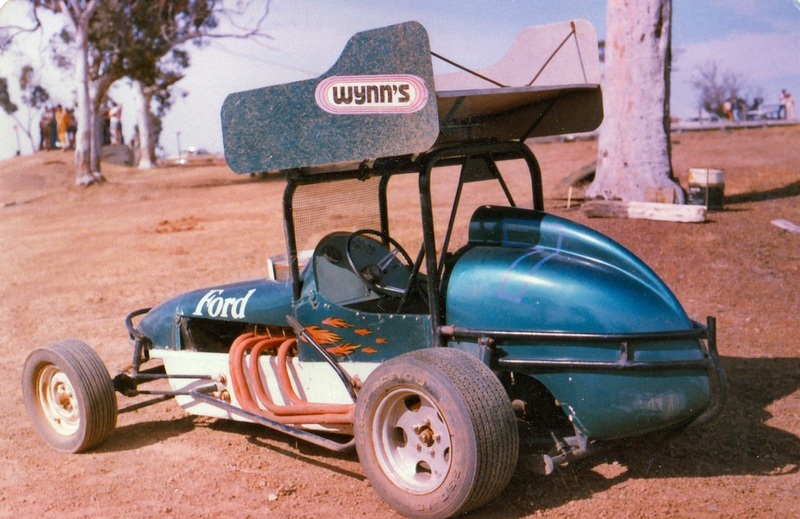 Initially the direction of racing was in a clockwise direction but was later changed to fall in line was all speedways. The pits were on the infield and remained there up until the saftey requirement's had them moved to the outer area on the main straight. The track safety fence on the main straight was first constructed of timber but later replaced with concrete panels and a section of catch fence along the front straight. Darkan's unique shape and size brought two national formular 500 and several state short track titals to the venue. The track closed to speedway in the late nintee's as several of the younger members were farming or working outside the district as well as further insurance requirements. 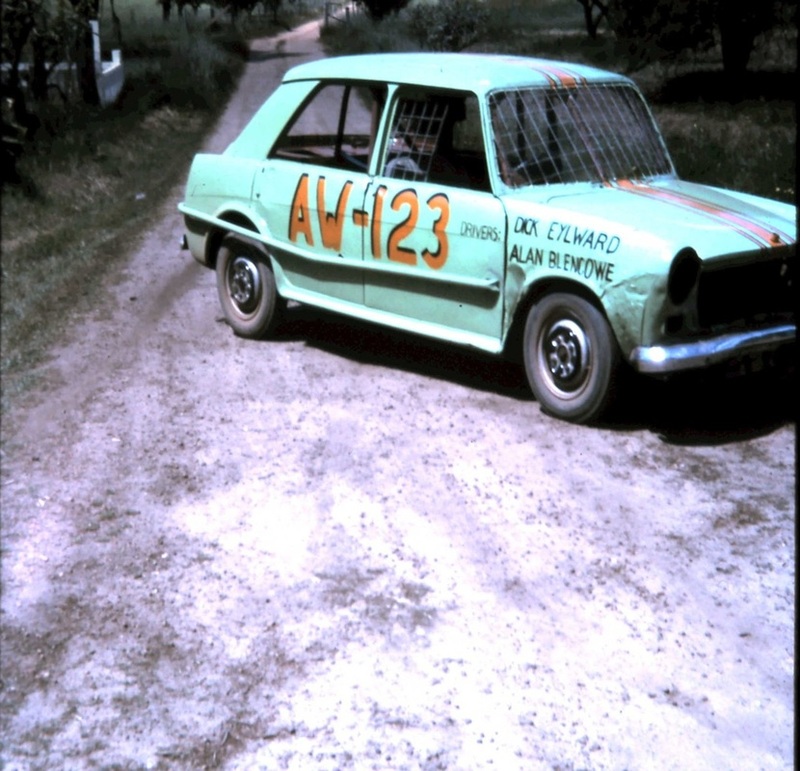 Alan Blencowe recalls: The insurance used in the early days was supplied by "Combined Mutual" and was a travel accident policy. The first claim was when Don Spiers scalded his backside from a burst radiator hose and spent 2 weeks face down in hospital. They paid out very quickly and when the agent came back to town he sold lots more policies. 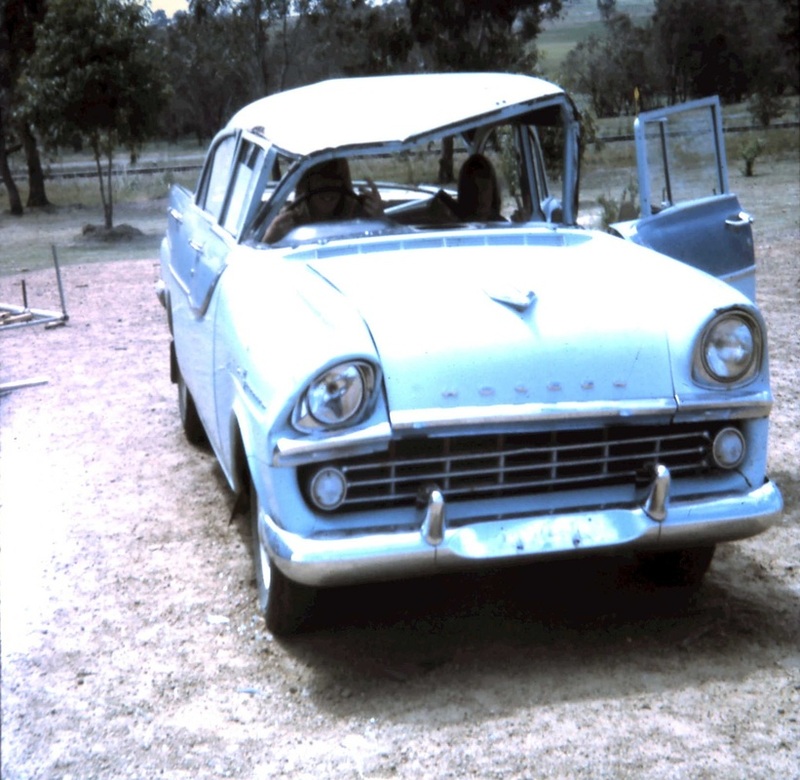 Allan Blencowe recall's: During one of these driver training days local traffic inspector, Ray "Spin out" Daniels rolled over a FB Holden at 35 mph with six students in the car, no one was hurt!,the car was then taken to the Darkan District High School were the students set about rebuilding the car. 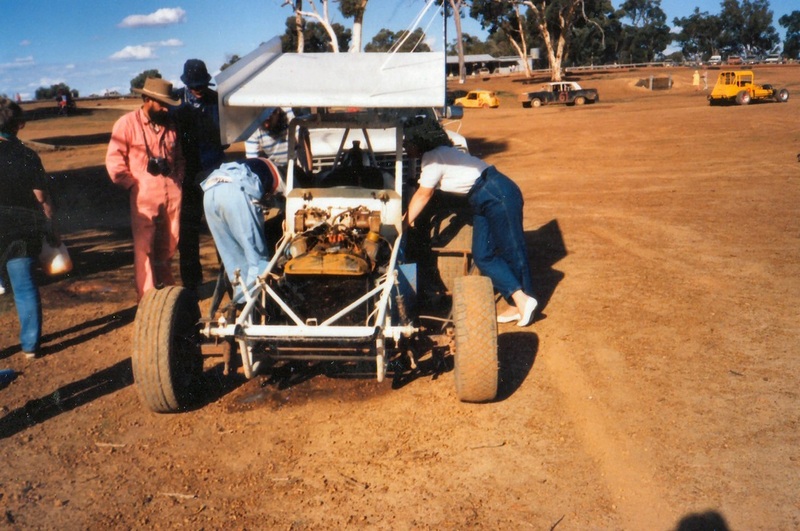 A very young Todd Davis looks over dads racecar in the Darkan pit area. Photo: Davis family. 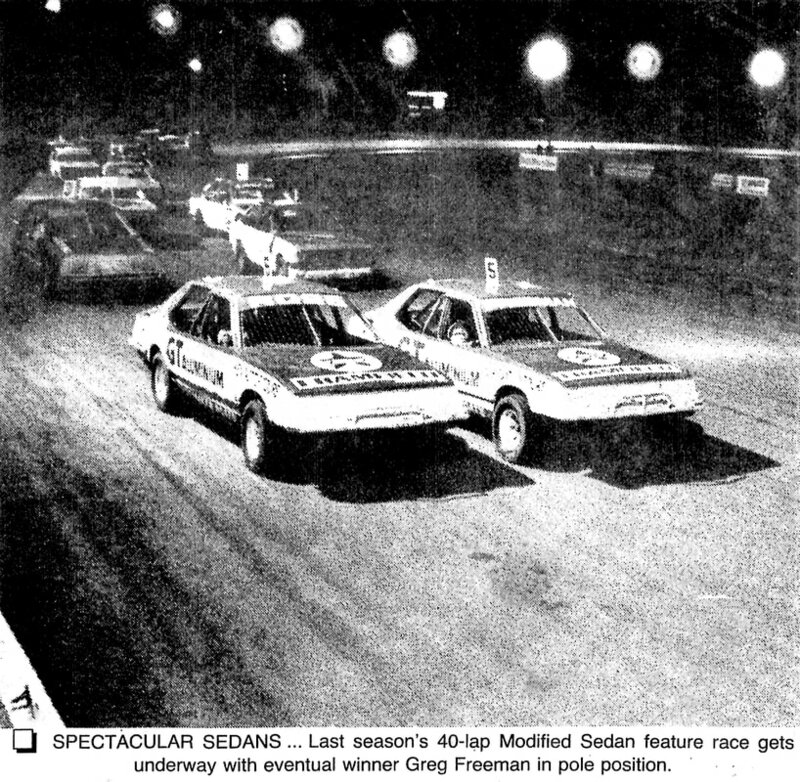 1978 Geoff Davis leads up through the esse's. 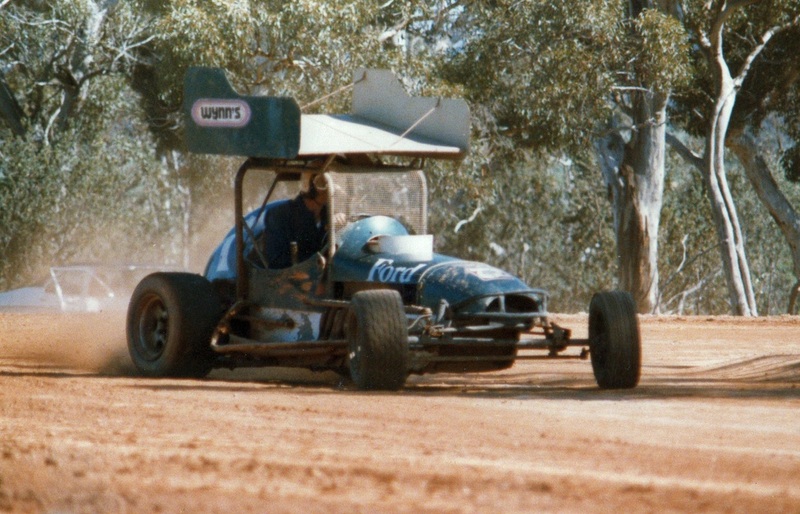 In April of 1982 the Arthur River Motor Sports Association hosted the 1981 1982 Australian Formula 500 Short Circuit title at there Hillman Farm Venue, The winner was a very proud West Australian by the name of Bill Broadwood. 1980's - Geoff Davis exits the esses onto the front straight in the Windsor powered machine. Photo: Davis family. 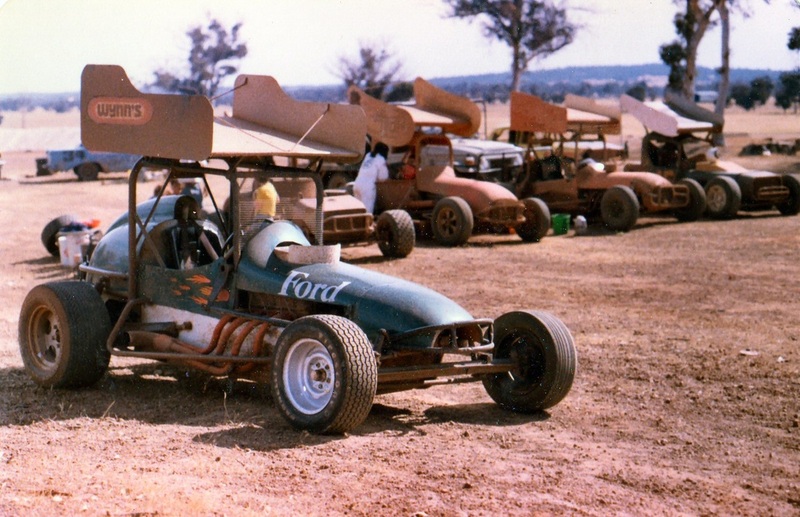 1980's - A line up of early sprintcars. Photo: Davis family. 1980's - and onto the front straight. Photo: Davis family. 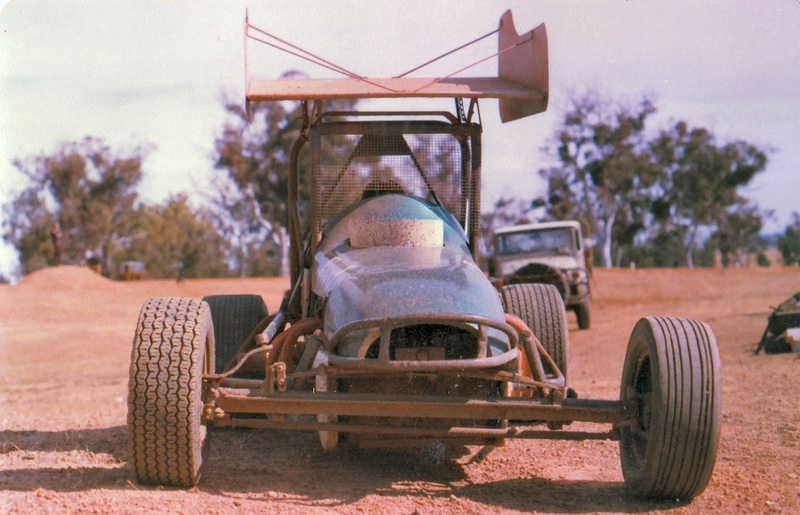 Ron Knapp recalls: gee this brings back some memories, when I first started I raced a mark 2 Zephyr, Then I built a supermodified and raced that continually modified it along the way, Initially the car was fitted with a 318 Chrysler and then a Leyland P76 V8. 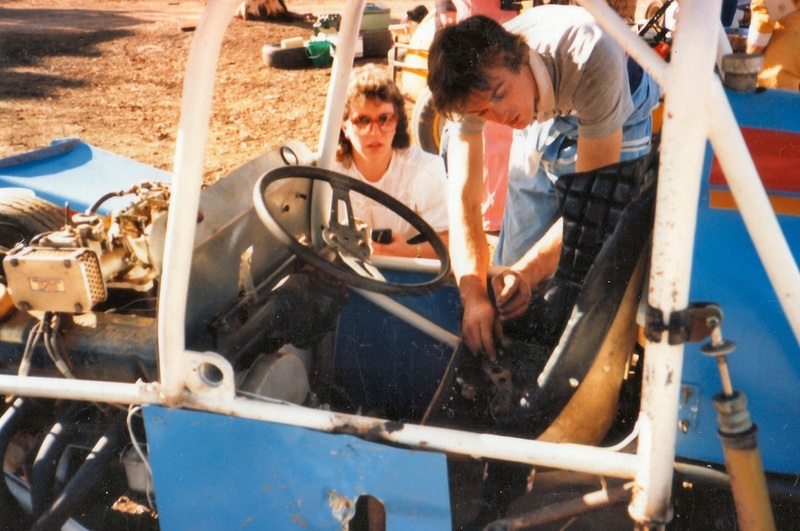 Pedal to the metal and steer was the name of the game, we were jack of all trades back then within the club, Scrutineers, Flag Wavers, Stewards, Comentators, Handycapers, Track Reconstruction you name it. My brother and I were responsable for the building of the Zephyr water pump at the dam, we built it up from scrounged parts from around the district. Allan Baker recalls: Each meeting all drivers were reminded at the drivers briefing, if you loose it at the end of the back straight when entering the uphill esses don't take out the pump house. 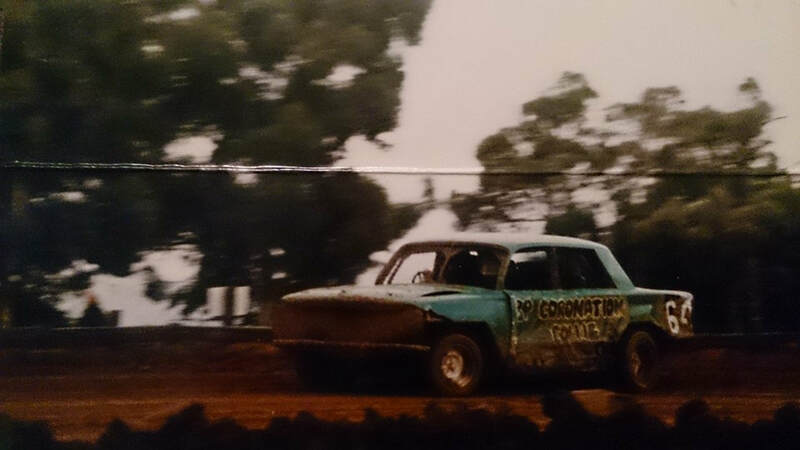 1980's - What is believed to be Wayne Millman racing the Fitzgerald family EH Holden at Darkan. Photo: Pete Sykes. Jason Oldfield recalls: Sadley Brian Rose passed away that same year. RIP. Brian Moyle recalls: We also lost Eddy Kingwood quite a few years ago to RIP. 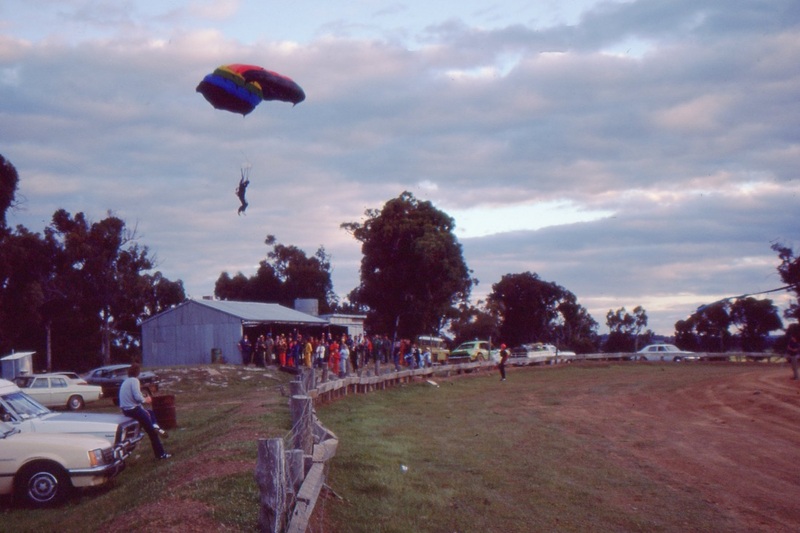 With the Hillman Sky Diving Club operating from the airstrip next to the speedway its wasn't unusual for sky divers to drop in from time to time, either on purpose or by accident. Brian Moyle recalls: my favourite story of the sky divers was told to me by a club member in Malcom Wolf, During inter-ville at one particular meeting a spectator at the the canteen brought everones attension to the fact that the skydivers were coming down, as every-one watched them de-send there seemed to be one jumper who was just dropping without any movement and the other jumpers were swinging around this person in an attempt to grab them, This continued until such time as all the jumpers pulled there schutes except for the life-less one who just kept falling and smashed into the field, This left all the onlookers terrified and some screaming with fear as they saw the lifeless body laying in the paddock, As time passed the rest of the jumpers landed and went about packing up there gear, no one seemed to be worried about the one who's main shoot didn't open, It later turned out to be a training exercise and the jumper was nothing more than a pair of stuffed overalls on the end of the schute. 1st was Greg Robinson and Rod King from Bibra Lake in a VL Commodore. 3rd was Jason Moyle from the Darkan club and Greg Freeman from the Bunbury club in a GN Sigma. this was the one and only time the classic was run. 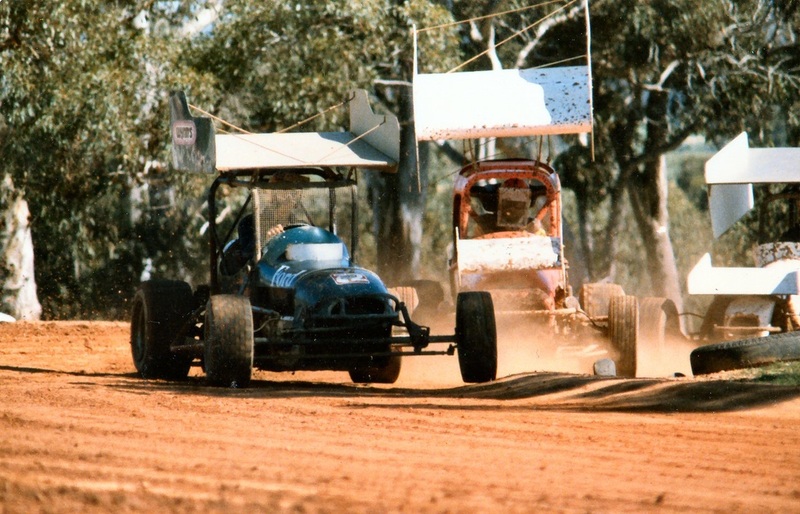 On April 14, 1998, Darkan held the 1998 Australian Formular 500 Shortrack championship. It was held on a Tuesday, Scrutineering took place before lunch. Heat races and a final all in one afternoon. Prizemoney for the event was a large $3,000. Entry fee was $35.00 per competitor, late entry fee $45.00. Track particulars listed as 660m in length, 1m from curb 10m wide in both straights and corners, Track surface is listed as clay / dirt composite. So that leaves just one question, and one I cant answer ...... Who the hell won ? 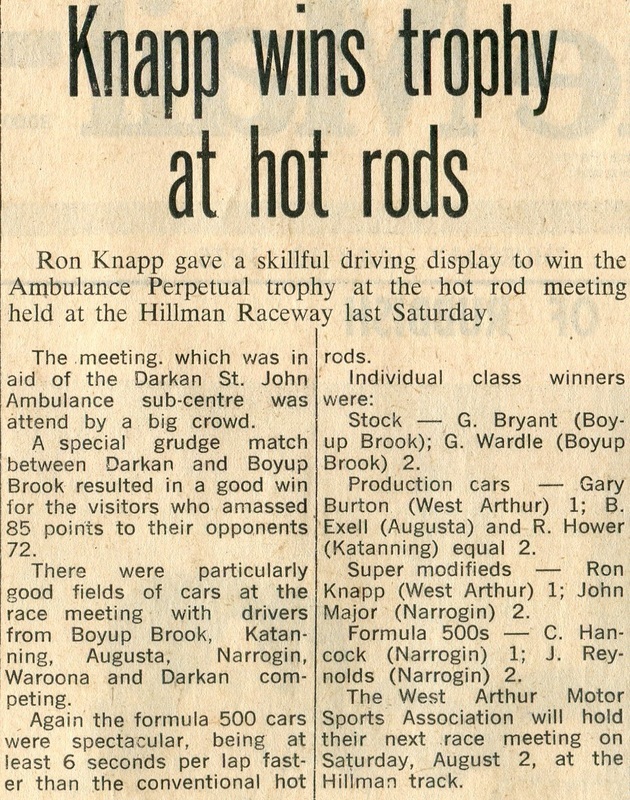 The Darkan history includes both both state and national Formular 500 Short Track titals. 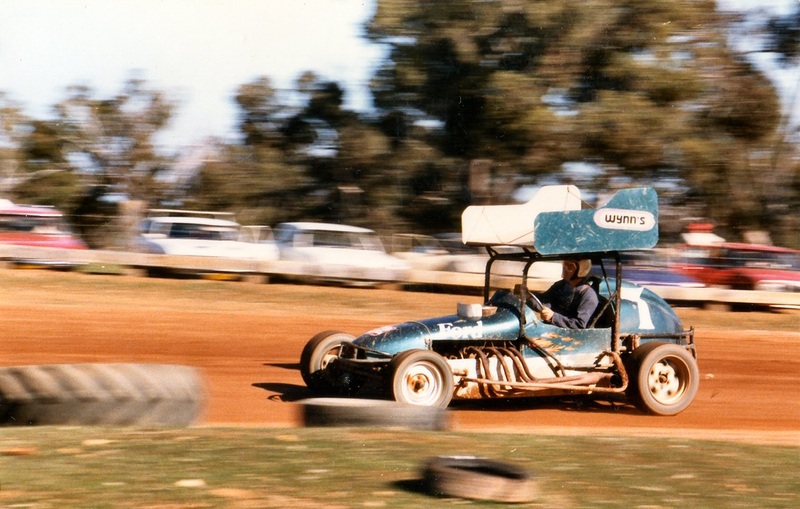 Sprintcar legend Max Dumesney competed at Darkan in his formular days. 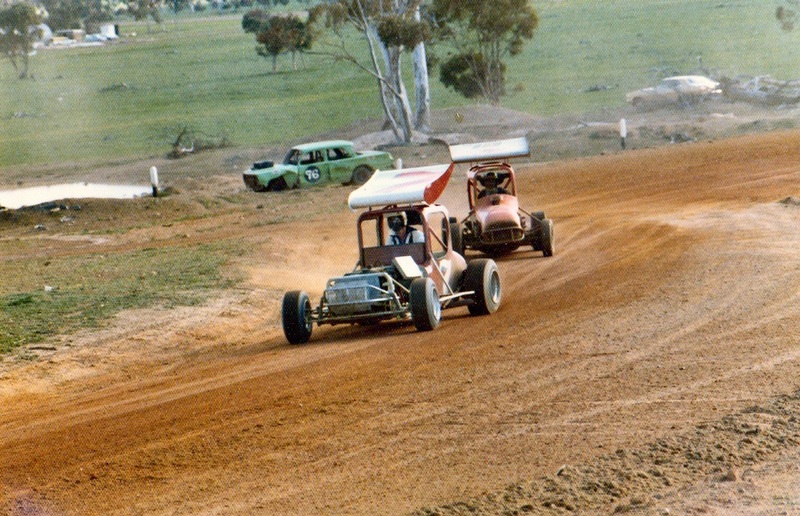 A great picture of the iconic uphill ess bends at Darkan Speedway. 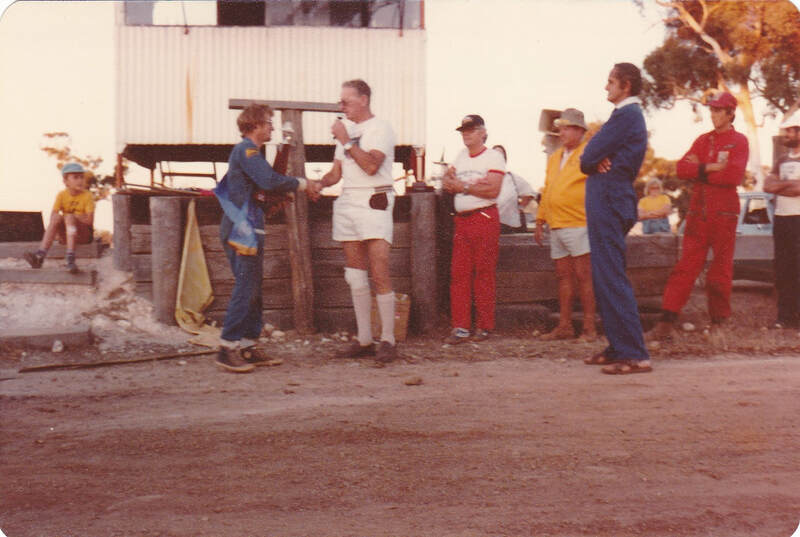 Commentator Bob Adams presenting to unknown winner while Jerry Wilcox (red pants) unknown Bill Broadwood and unknown look on. The Collie Motorcycle Club leased the speedway of the Harrington family in the year 2000 and built a motocross track, using the front straight as the starting area and moving on to the infield for the rest of the circuit, The Collie club felt the need to expand to the alternative site as there Collie track was very sandy and heavy only and it put there club members at a disadvantage when they travelled to the hard base gravel surface tracks. This arrangement worked well, but in 2012 the Collie club gave to Pre 85 Motocross Club of WA the opportunity to take over the lease. Darkan is ready to race on, the whole site is still intact and currently being used and maintained by the Collie Motor Cycle Club for Motocross, The bike track is mainly situated within the speedway track but uses the front straight as the start line. The Pre 1985 Motorcross Club of WA took over the lease of the Darkan venue from the Collie Motorcycle Club in Febuary of 2013. The Pre85MXWA club is a progressive family orrintated club which was formed in 2009 to ensure the sport of vintage Moto-cross in Western Australia continues to evolve and ensure all area's are catered for by one club. At present any off road bike built before 31st of December 1989, will be welcomed into the club, as per Motorcycling Australia's manual. A member may choose to be envolved as a social member, ride non competitive fun events or untimatly race in closed to club and open events. It is the goal of the club to offer come try's Vintage Moto-cross, Scrambles, Vinduros, and other discyplines, but we need new memberships, participation and expertise to ensure the club continues to grow. Ultimately the clubs goal is to create an enviroment that ensures vintage moto-cross remains an enjoyable and fulfilling pastime. 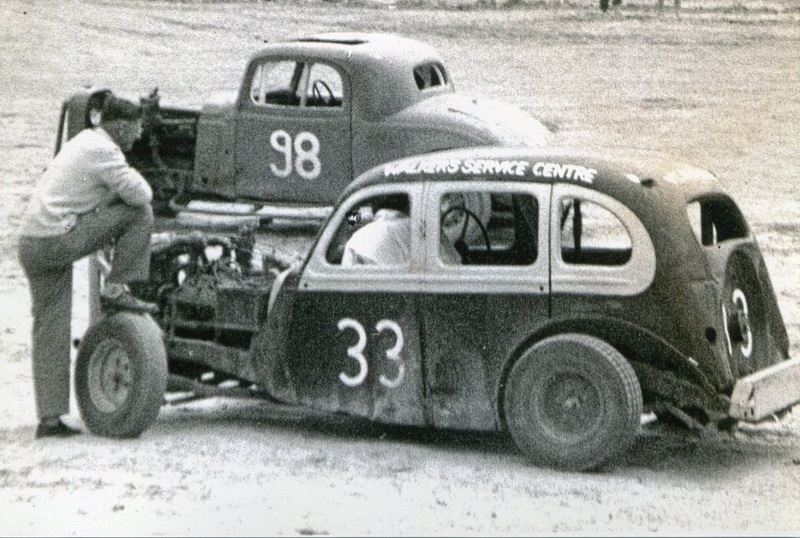 With great thanks to the generous help of the Harrington family, The Relics Rod and Kustom Club (Albany) met up with the Cranksters Rod and Kustom Club (Perth) at the perfect half way point, Darkan Speedway. It was a time trial event, not racing, with a mixture of competitors on pushbikes, Street and Rat Rods, Custom Cars, and Speedway cars, also motorcycles. 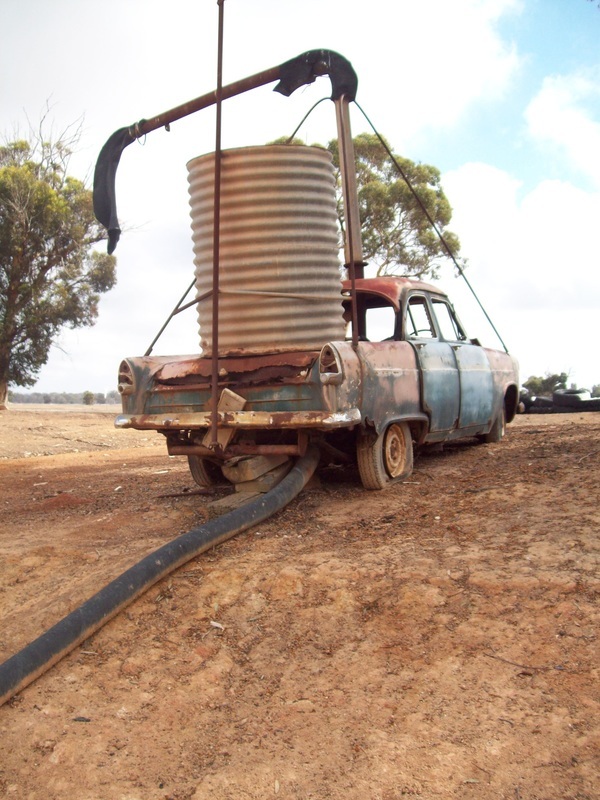 Darkan farmer and inventor, Ray Harrington, has been announced as a nominee in the WA Australian of the year award. He's in the running for the 2018 West Australian Senior Australian of the year, Here's what the judges had to say. The brains behind an invention which destroys weed seeds during harvest, Raymond Harrington may reduce the need for herbicides in farming, When Ray Harington's seed destructor is attached to modern grain harvester's, it pulverises 95 per cent of weed seed collected in the chaff which is spread back over the paddock at harvest reducing the weed seed bank and weeds in the following years crop. Ray, who grows grain on his property 200 kilometres south of Perth, was determined to find a solution to save Australia's broad-acre cropping industry from the threat of resistance, With help from the University of South Australia engineering researchers and funds through the CRDC, Rays ground breaking invention provides an environmentally - substainable way to increase crop production and contribute to the long term profitability of the Australian agricultural industry.